The year is 1862. At this time, there lived an architect named H. H. Horsey, who was responsible for the construction of this 19th-century prison named Carleton County Gaol. It stood on top of land donated by another prominent 19th-century figure, a man named Nicholas Sparks, adjacent to the old city jail. According to the critics of the day, the difference between the old and the new jail was like comparing night with day. The old jailhouse – Nicholas Street Gaol – never had a system for classifying the inmates, separating the murderers from the rest, and Carleton County Gaol sought to address this. With its construction, a new prison reform was born. “Men and women, young and old, accused and convicted were all ideally kept apart. 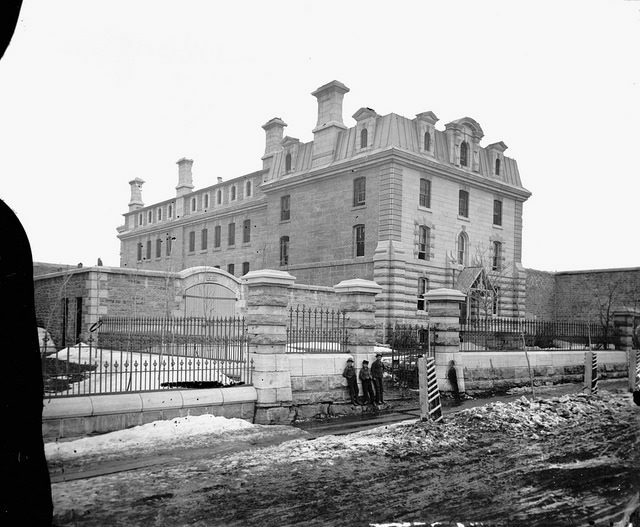 Inmates who might pose a danger were segregated elsewhere in the building,” writes heritageottawa.org. The whole jail was massive and its edifice was designed to impress as well as strike fear. It was done in Georgian style completely in stone, equal once compared with the courthouse that stood right next door. 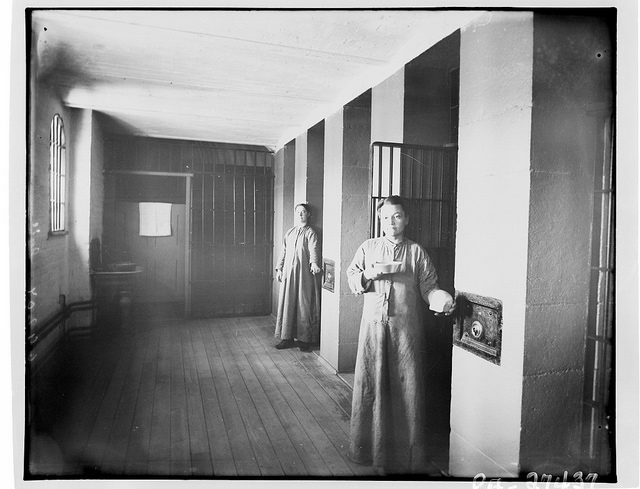 When it comes to the interior, the design used there was known as the Auburn Plan –named after a prison in Auburn in New York State – which incorporated individual cells. 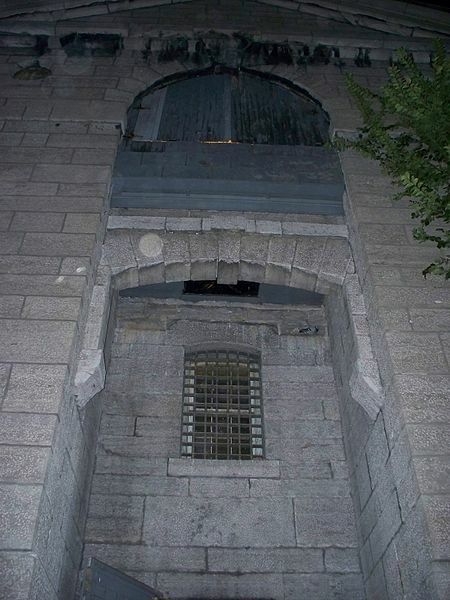 The cells themselves were located in the cell block that stood 4-stories tall from where a tunnel made a direct connection to the courthouse next door. An almost 5-meter-high wall surrounded the service yard that stood to the north. The exercise yard, on the other hand, stood to the south and had 6-meter-high walls made completely of stone. The same stone wall embraced the gallows yard as well. 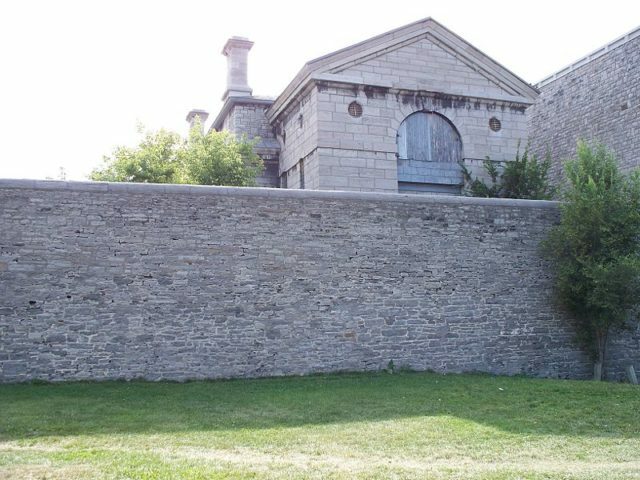 It was in this very yard where Patrick Whelan – the man that killed the Irish politician and journalist Thomas D’Arcy McGee – met the gallows and was hanged in front of a crowd that numbered around 5,000 people on February 11th, 1869. The interior of the prison was the complete opposite of the extravagantly done exterior. There were a large number of cells that were tiny and claustrophobic by design with no light, heat, plumbing or ventilation of any kind – practically a stone coffin. It was the Royal Commission on Public Welfare the filed a report in which they criticized the conditions in the jail in 1930. Their efforts bore no fruit and the jail continued its ill practice in treating the inmates. The inmates looked forward to chopping wood and clearing snow in the winter months for this and similar activities were what allowed them to spend a day outside their suffocating cells. The Carleton County Gaol kept its practices until the very end, which came in 1972. Once the institution was closed, the inmates were relocated to the new Ottawa-Carleton Regional Detention Centre located in the Blackburn Hamlet. 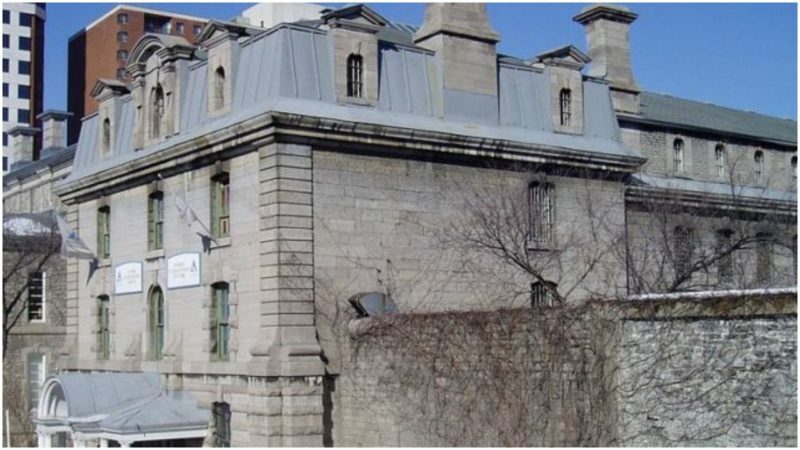 Not long after its closure, Canadian Youth Hostel Association made a proposal to renovate the jail. 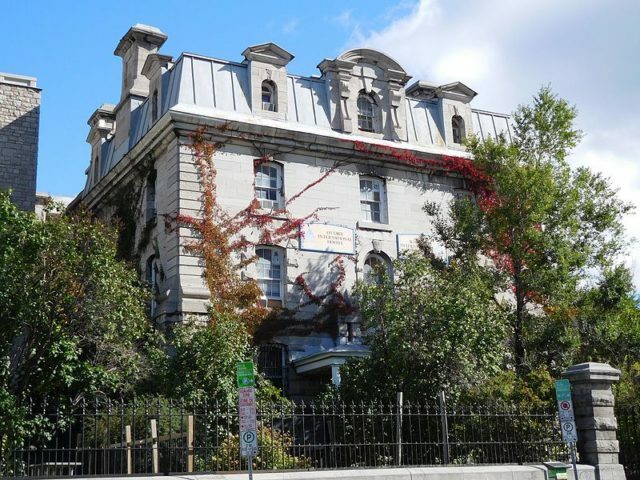 However the project was to be carried out together with the rest of the tenants – the Canadian Youth Hostel Association only took the first two floors of the jail – but due to lack of finances, the other tenants dropped out. The Canadian Youth Hostel Association were left on their own to carry on the project. At the end, the jail was transformed into a warm and welcoming place – a drastic change given its former history. The hostel opened its doors on August 2nd, 1973. On the very first day, Prince Philip made a visit. 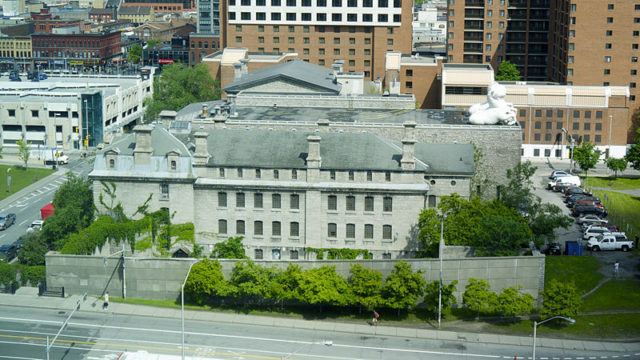 Now opened to the public, the Ottawa Jail Hostel quickly climbed to the list of top 10 most haunted locations in the world. Some people report having seen the ghost of Patrick J. Whelan, while others continuously report strange sounds seemingly coming out of nowhere, such as knocking of iron bars and heavy footsteps in an empty corridor.